Believe it or not, your toothbrush requires more attention than the 2-3 minutes a day you spend using it. 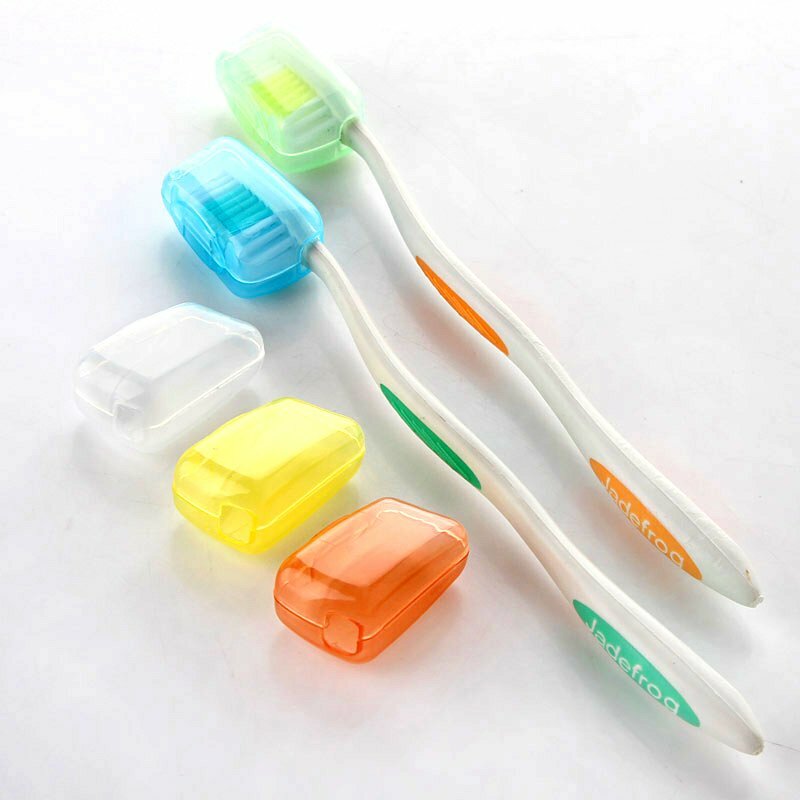 Correct toothbrush care is necessary for having good oral hygiene. Is it time for a new toothbrush? No matter what toothbrush you use, when the bristles become frayed and worn, it is no longer effective for keeping your teeth and gums clean and healthy. • It is important to massage your gums while brushing. But don’t scrub too hard on your gum tissue. • Long horizontal strokes can lead to abrasions. Use gentle circular strokes around the gums at a 45-degree angle. The strokes should be vertical or circular, not horizontal. • Start brushing in a different place each time. By the time you are in the last quadrant of your mouth, you are bored with brushing. So switch it up so all your teeth get the attention they need. • You should change your toothbrush every three or four months, or even sooner when the bristles look frayed. • Always rinse your toothbrush after you brush because bacteria can grow on an un-rinsed toothbrush. • Let the tooth brush dry. When the bristles are left soggy, it might be a breeding ground for bacteria. It is good to shake out the moisture, then recap it with a cap that allows air in. Following these tips can get you on your way to having a clean, sanitary toothbrush. Happy smiling! Toothbrush caps like this keep out bacteria. Help us help you by paying particular attention to these orthodontic enemies. In order to prevent your braces from breaking, damaging your teeth or leaving lasting wear and tear on your enamel, be cautious of your eating habits and don’t engage in the habits below. 1.Nail biting –This habit can lead to broken teeth and brackets, severe gum problems and oral bacteria. The pressure can also contribute to more of your teeth becoming crooked or misaligned, which prolongs your dental treatment. Now is the perfect time to kick that bad habit! 2.Chewing on ice – Look at it this way: Something has to give, either the ice or your tooth. Ice might break off a bracket or move a wire, making it ineffective of doing its job and straightening your teeth. If you really do love ice, try sucking on ice rather than chewing it. 3.Drinking soda – braces make it more difficult to clean your teeth. When you consume these sugary, acidic drinks you are more prone to cavities. Also, the acid can lead to white decalcification scars around brackets, which permanently mar your teeth. If you choose to drink this, it is best to rinse with water or mouthwash immediately after. 4.Not having a mouth guard – it is so important to have a mouth guard when you have braces and play sports. A mouth guard will cover your braces and keep them from damaging surrounding tissue. They offer protection to the jaw, tongue, teeth and lips. The absolute best mouth guard that you can wear for sports is one that a dentist custom-makes for you. 5.Picking at your wires – Playing with your braces can be a huge problem and cause damage to the expensive equipment in your mouth. If you fiddle with your braces, you can easily pull out one of the wires or break a bracket. If you want to get your braces off in the quickest amount of time, avoid this habit. Some other foods to avoid are popcorn, hard candy, caramels, pizza crust and dried fruit. If you avoid these habits and foods, you’ll be helping your braces do their job. We want you to get the most out of your experience with braces so you can have that perfect smile! 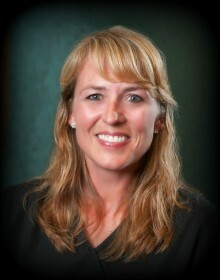 Robbyn Kempf is a very experienced orthodontic assistant and has been with Robinson and Ries Orthodontics for 17 years. She is known for her gentle ways and is adored by our patients. With so much experience, she is also a valuable teacher to newer assistants. Robbyn is originally from Topeka but has been in Columbia for 30 years. She lives with her husband Bryan. They have a 9-year-old son and two daughters who are 5 and 7-years-old. She spends most of her free time with her kids. They love to go boating, swimming, fishing and playing football and baseball.